Featured Snippets are fascinating to me. The reason is simple. Any time Google surfaces a specific url, treats it differently in the SERPs, and provides a significant amount real estate for that url, I tend to pay attention. And based on the SERP treatment I just explained, I’ve found that featured snippets can drive massive amounts of traffic. You can read my case study about a client losing a featured snippet for a high-volume keyword to learn more about that. Over the past two years, I’ve been neck deep in featured snippet research. During that time, it’s been incredibly interesting to try and learn why Google surfaces certain urls and content as featured snippets, while others don’t gain traction. Google’s algorithmic approach to surfacing featured snippets means the process is extremely scalable, but that also means the results can change on a dime. Therefore, Google can reward a website one second, and then take back that reward a few days later. And that change can impact massive amounts of traffic. Last year I wrote a post about how to find featured snippets for a given domain using SEMrush. The approach focused on using SEMrush to surface queries that can yield featured snippets (like “how to” queries). After writing that post, I reached out to the amazing people at SEMrush and asked if they could add a feature that surfaced featured snippets for any domain. I was hoping they could flag featured snippets and surface them in a report, based on the SERP analysis they were already completing. I explained that the feature would be incredibly powerful and would save SEOs a ton of time. They agreed and said they would look into it. I didn’t hear anything back for a while…until this past December. And I couldn’t have received a better holiday gift. SEMrush actually built a SERP Features widget that enables you to filter queries for a specific domain by specific SERP features (including featured snippets). Based on using the new SERP Features Widget since December, I think SEOs are going to freaking love it. I know I do. Here’s a quick screenshot of what the widget looks like. As part of my testing, I started researching sites in the SEO and SEM industry to see if they had any featured snippets. I thought it would be interesting to see how different SEO sites and blogs compared when surfacing the almighty featured snippet. So down the SEO rabbit hole I went. It was fascinating to see which sites yielded the most featured snippets, which queries triggered those snippets, and of course all of the variables that go along with a featured snippet. For example, SERP treatment, rankings for the urls yielding the snippet, images and graphics that were displayed, and other interesting things. And after heavily digging in, I decided to write this post to cover what I found during my travels. So join me as we take a trip around the SEO and SEM SERPs. In order to jump to a specific site, you can use the links below. Let’s start with Search Engine Land (SEL), where I’m also a columnist. To be honest, I was a little surprised the site doesn’t receive more featured snippets. SEMrush only found 72 queries that yielded featured snippets for SEL. Sure, SEMrush isn’t going to capture all queries yielding featured snippets, but 72 wasn’t a lot compared to some other sites. I’ll list some interesting findings below. But it gets better. The featured snippet is actually about Google’s direct answers. 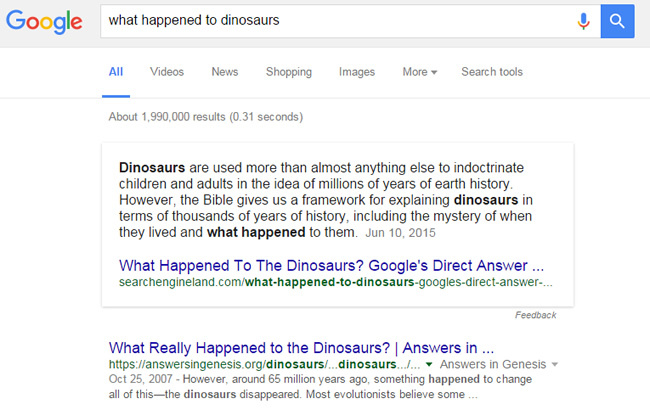 So it’s like SEO inception, where one featured snippet leads to a post about direct answers (both Google topics and not really about dinosaurs). Not as confusing as Inception the movie, but not exactly the clearest path for those looking for an answer. When you dig into featured snippets, you often come across urls that receive the featured snippet, yet don’t rank #1 (or even highly on page one). You’ll see more of this later in the post, but here’s one example. The query, “nofollow tag” yields a featured snippet from Search Engine Land, but SEL ranks below two other urls. Google is pulling the featured snippet from the url ranking #3, along with an image from the post. It just shows that you don’t need to rank #1 to obtain a featured snippet. Again, more about this soon. This was another funny example. 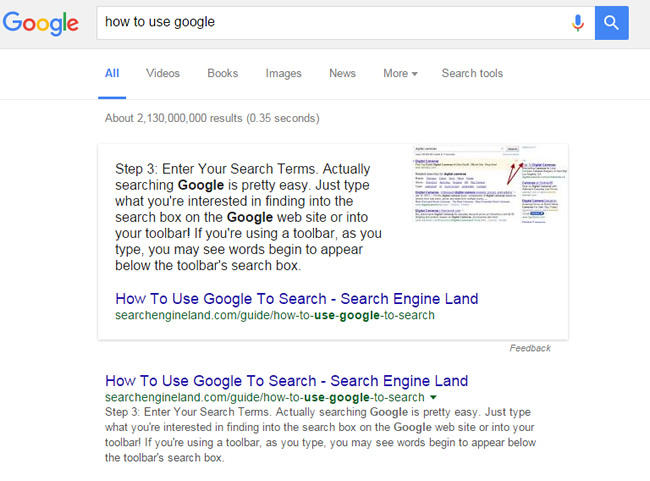 If you search for “how to use Google”, Search Engine Land receives the featured snippet, and Google does not. Which is crazy, since Google is the actual search engine. :) Google actually ranks #3. Wow. But it gets even stranger. If I’m logged into my account, I see the featured snippet from SEL, but when using incognito mode, I see a featured snippet from CNET. Google’s Gary Illyes actually provided some interesting information about featured snippets when I was researching a previous post. He said that Google uses a number of signals when determining what to surface. So Google clearly knows that SEL would be a better fit for me versus CNET (given my search history and other things it knows about me). I’m assuming that’s why Google provided a different featured snippet. See below (incognito mode). While Search Engine Land came in at 72 queries yielding featured snippets, Search Engine Watch (SEW) was slightly less with just 60. Again, this was surprising to me given the sheer amount of content on SEW. Upon digging into the queries, there were some interesting findings. The query, “what search engines are there” yielded a featured snippet from Search Engine Watch containing a bulleted list of search engines. And you guessed it, Google is not listed. The post is about alternative search engines to Google. I know featured snippets are algorithmically selected, but I find it hilarious that Google surfaces this post, which doesn’t contain Google itself. There’s also a nice thumbnail graphic of the privacy-focused DuckDuckGo. 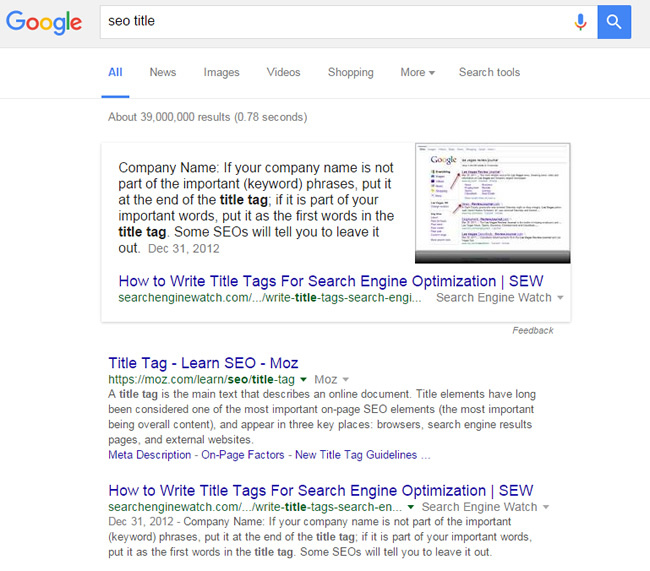 I noticed that SEW receives a featured snippet for the query, “seo title”. But I also noticed that SEW ranks #2 below Moz. So I quickly checked the query, “what is an seo title” and Moz actually receives the featured snippet. And the two urls swapped rankings as well (from #1 to #2 and vice versa). This was not the first time I saw featured snippets change based on slight changes in the query. Very interesting. But slightly changing the query yields a featured snippet from Moz instead! And the rank order changed too. 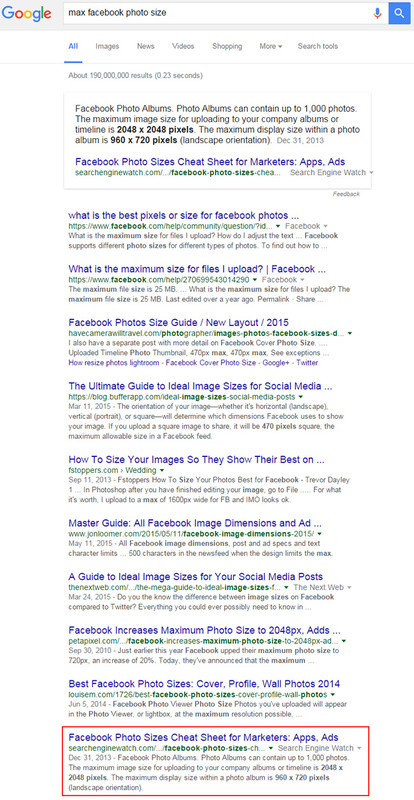 I also noticed that SEW has a featured snippet for, “max facebook photo size”, which is funny since you would think Facebook’s own documentation would receive the featured snippet. But it doesn’t. 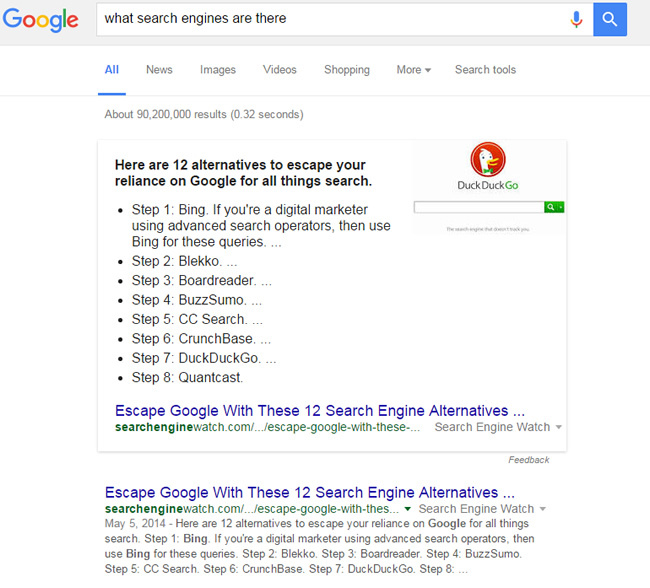 Also, the Search Engine Watch post that’s being surfaced in the featured snippet ranks #10 on page one. Yes, #10. So again, you do not need to rank #1 to receive a featured snippet. 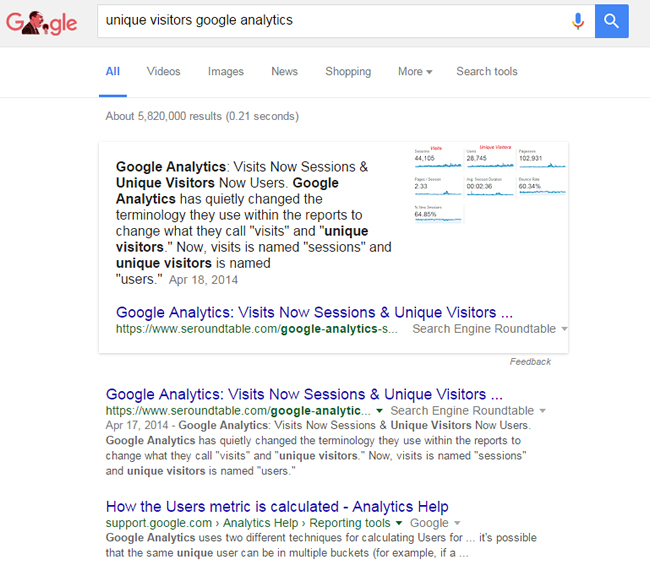 I have seen many posts rank lower on page one and still receive the featured snippet. 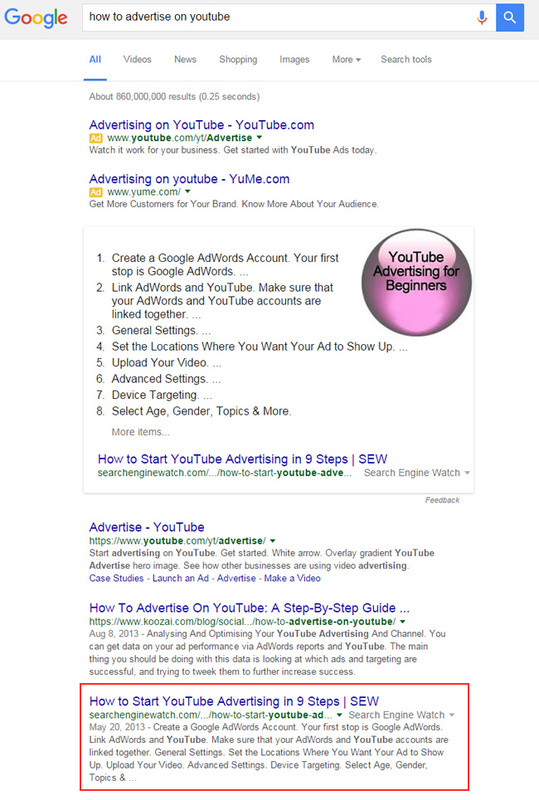 …Search Engine Watch actually receives the featured snippet for the query, “how to advertise on YouTube”. Again, you would think Google would surface the official documentation from YouTube for this query, but it surfaces a post from SEW instead. I think this shows that the algorithm handling featured snippets is looking for much more than simply official documentation. It’s looking for the best answer based on a number of factors beyond simply being the official website. Also, although this featured snippet has a beautiful bulleted list and thumbnail, you can see how ads can diminish the effectiveness of a featured snippet. Two ads pushed the snippet down the page, which takes away from its power and punch (at least a little). While Search Engine Land had 72 queries yielding featured snippets, and Search Engine Watch had 60, Search Engine Journal (SEJ) came in with 133. And just like with SEL and SEW, there were some interesting findings. Let’s jump in. 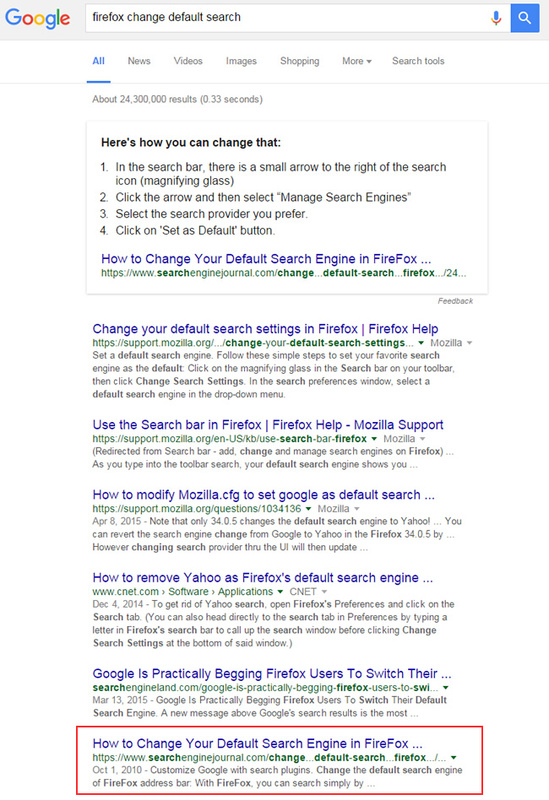 For the query, “firefox change default search”, Mozilla ranks #1, #2, and #3 but does not receive a featured snippet. Search Engine Journal gets it, yet ranks #5. It’s another example of a url not ranking highly on page one that received a featured snippet. This is also another great example of a third party site receiving a featured snippet over the official documentation. It’s important to know this happens a lot. So, if you are writing about a subject that you highly focus on, wouldn’t it be cool to have your photo surfaced for a query related to that topic? I’ve seen that occasionally during my travels as well. For example, notice the featured snippet for the query, “seo lsi”. 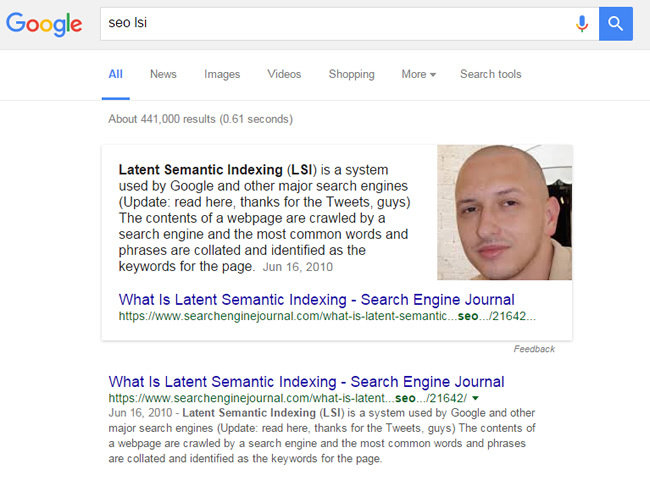 Search Engine Journal receives the featured snippet, but the author’s photo (Roko Nastic) is the actual thumbnail image. You may have noticed that many of the queries I’m listing aren’t actually questions. Instead, some are standard informational queries not structured as questions. I believe this is one reason that we’ve seen a spike in the number of featured snippets over the past year or so. So, if you are trying to gain featured snippet, just be aware that they are also being triggered for non-question queries. 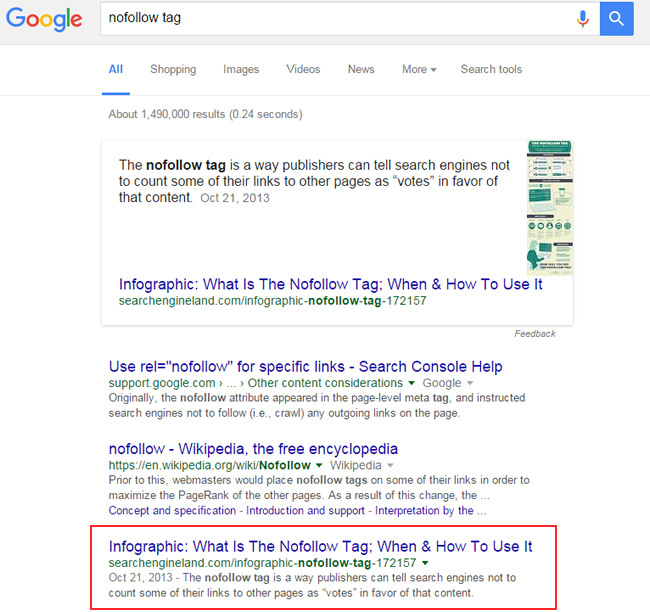 Knowing how much content and knowledge is on Moz, I fully expected to see a boatload of featured snippets. But checking SEMrush revealed only 85 keywords yielding featured snippets. This is more than Search Engine Land and Search Engine Watch, but less than Search Engine Journal, which had 133. And just like the others, there were some very interesting findings. 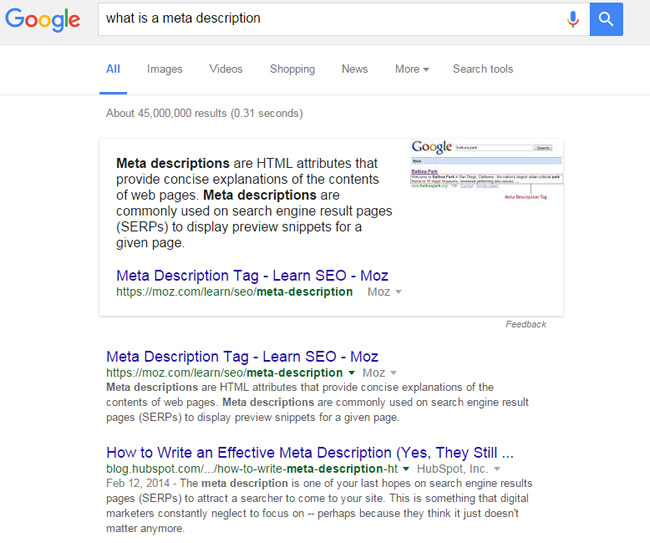 Moz receives a featured snippet for the query, “what is a meta description”, along with a thumbnail image. The url ranks #1 in the SERPs. But check this out… if you change the question to more of a topical query, then Moz doesn’t receive the featured snippet. Wordstream does instead, even though Moz still ranks #1. 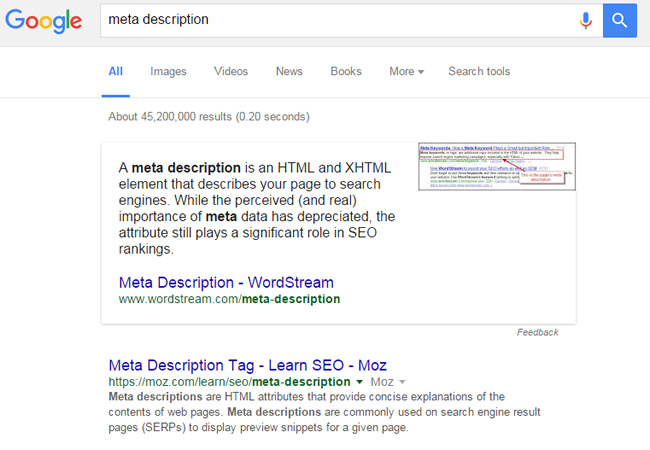 By the way, more about Wordstream’s featured snippet situation soon. You’ll want to stick around to learn about that. 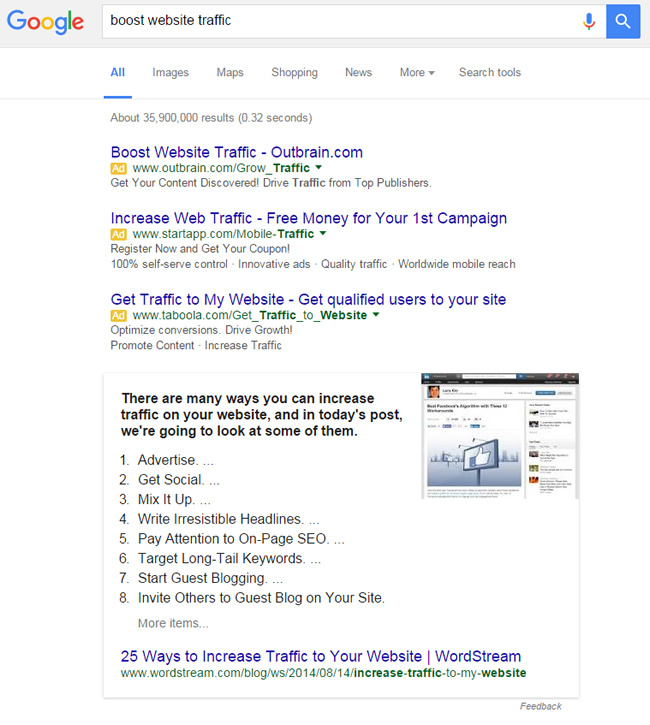 But change the query from a question to a topic, and Wordstream receives the featured snippet! And Moz still retains the #1 ranking. 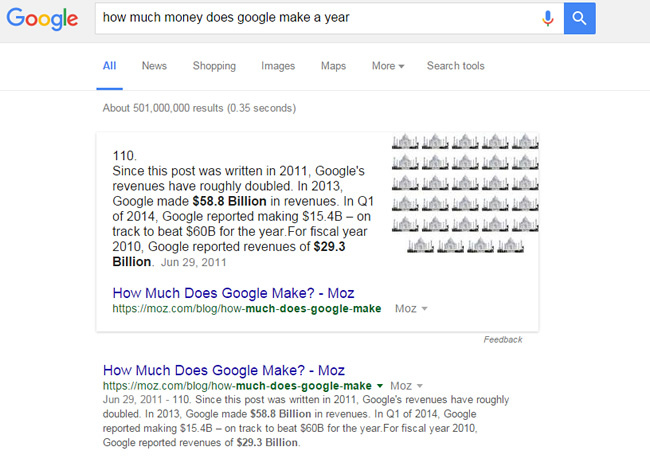 Moz also receives a featured snippet for the query, “how much money does Google make?” It’s an interesting snippet with a large thumbnail of a repeated Taj Majal graphic, and the snippet also looks botched with a “110.” at the beginning. Again, another sign of what can happen when a process is algorithmic. It’s also not the most up-to-date numbers and it ranks higher than some financial-focused websites. I’m pretty sure Pete from Moz tries to update it every now and then, but the latest numbers are from Q1 2014. I noticed a funny featured snippet related to Facebook. 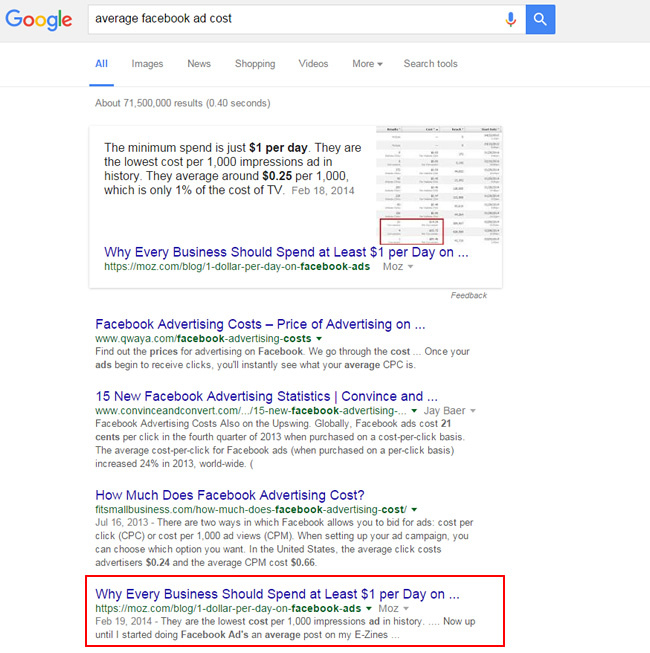 If you enter “average cost of a Facebook ad”, you see a featured snippet from Moz. The snippet starts with, “The minimum spend is $1 per day”, and Google bolds the $1. First, it’s interesting to see Google choose a non-Facebook url for this snippet, and second, I’m sure Facebook loves the low-cost pitch! If you simply enter, “website SEO”, you see a featured snippet from Moz from their beginner’s guide to SEO. That’s pretty darn powerful. But it’s another example of how ads can water down the impact. There are three AdWords ads above the snippet, which obviously push it down, but also lessen the impact visually. The key takeaway is that if you are competing with a site for important queries, and that site has a featured snippet, you might want to fire up AdWords and run some ads. After doing a lot of research in this area, I can tell you that ads do diminish the effectiveness of featured snippets. Ah, Search Engine Roundtable (SER), the daily powerhouse of SEO news written by Barry Schwartz. I actually pinged Barry on Twitter a few weeks ago while digging into featured snippets from SER using SEMrush’s new widget. Barry does an incredible job of keeping the industry up-to-speed on the latest in SEO, so I was interested in seeing how many featured snippets the site was yielding. 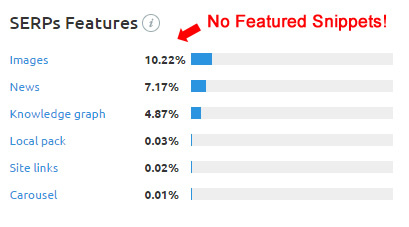 SEMrush was only showing eight for SER, which is much lower than the other sites listed above. That said, many of Barry’s posts are extremely to-the-point, covering a specific piece of news (so it wasn’t entirely surprising to see a lower number of featured snippets). Let’s check out a few of the featured snippets I surfaced. 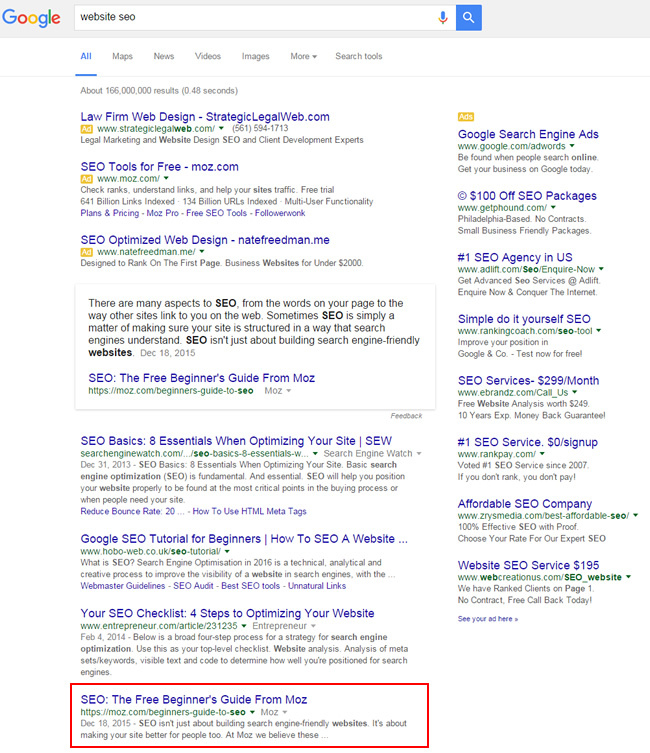 The featured snippet from SER takes up significant real estate at the top of the SERP and contains a thumbnail image from Google Analytics (GA). It’s hard to overlook the featured snippet, especially since there aren’t ads running (at least during the times I checked). The snippet itself does not really give the answer, so you must click through, which obviously can help drive more traffic to SER for the answer. It’s also another example of an unofficial site receiving a featured snippet, when the documentation from GA would yield the official definition. You’ll notice that Google’s support documentation ranks #2 under Barry’s post. 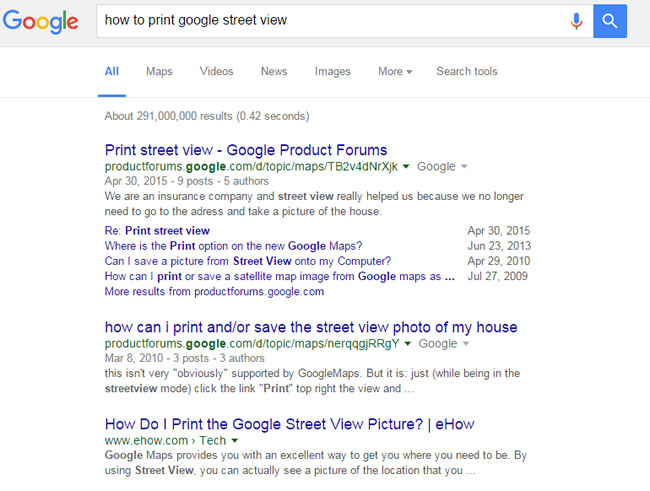 As of a few weeks ago, SER ranked for the query, “how to print google street view”. I tweeted that screenshot so Barry could see it, and Barry included it in his post about featured snippets. Well, the featured snippet is gone now. That’s definitely a query that Google itself should rank for, and NOW IT DOES. Actually, multiple posts from the Google forums rank, and Barry’s post is gone. It’s very interesting to see that happen. I have no idea if sharing that original photo caught the eye of a Googler, but it very well could have. 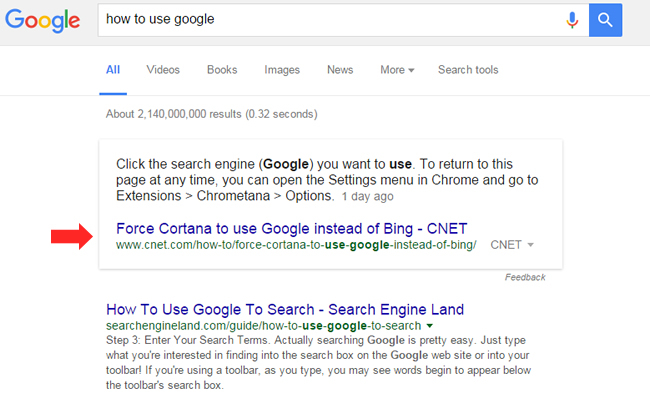 And by the way, Google does receive a featured snippet if you remove the word “Google” from the query. Again, interesting to note. 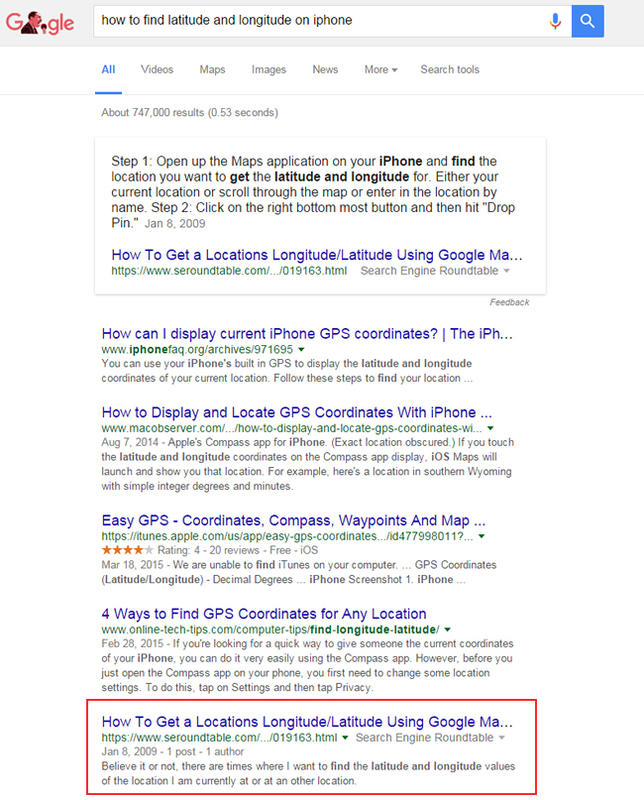 For the query, “how to find latitude and longitude on iphone”, SER receives the featured snippet. I was shocked to not see Apple listed (or its forums) on page one. Also, Barry’s post is from 2009, which just goes to show you don’t need the most recent information in order to receive a featured snippet. And the url from SER ranks #5 in the SERPs, which again backs the notion that you don’t need to rank #1 to receive a featured snippet. OK, let’s switch to a few of the top PPC blogs to see how they fare with featured snippets. I couldn’t think of a better website to start with than Larry Kim’s Wordstream. And to be honest, I had no idea what I was in for. So, we know that Search Engine Land, Search Engine Watch, Search Engine Journal, and Moz are very powerful websites with great content overall. And we know they rank for between 60 and 133 queries that yield featured snippets. But what if told you that Wordstream blows them out of the water? According to SEMrush’s new SERP Features widget, Wordstream ranks for a whopping 9,505 different keywords that yield featured snippets from the site. That’s some serious featured snippet power. Let’s dig into some of the queries so you can see what I’m referring to. Google must be dying over this one. For the query, “how much does AdWords cost”, Wordstream receives the featured snippet over official Google documentation. That’s awesome for Larry and his crew as new advertisers are looking for information about that topic. But once again, the ads diminish the power slightly. Actually, Wordstream is running one of the ads! That’s an interesting example of ads working with a featured snippet to dominate the SERP. 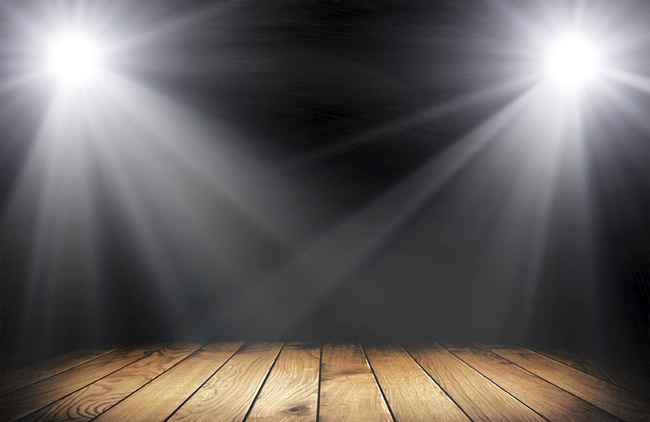 Sure, inbound marketing is hot, but that doesn’t mean outbound is not effective. 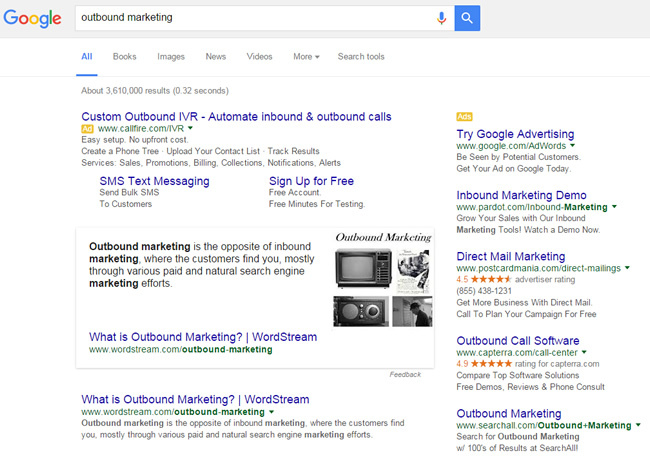 When you enter the query, “outbound marketing”, Wordstream receives another great featured snippet. It has a nice thumbnail image, and a clear question and answer. And it seems there are less ads running for outbound, which enhances the effectiveness of the featured snippet. From a paid search standpoint, PPCHero is another great blog with insightful and high quality content. Yet it only receives featured snippets for seven queries (based on SEMrush data). I was surprised to see this, but again, featured snippet selection is algorithmic so anything is possible. There were some interesting findings, though. Once again, I found an example of a third party site receiving a featured snippet for a topic tied closely to a specific platform. Also, the url receiving the featured snippet is the second highest ranking from PPCHero in the SERP! The query, “improve quality score” yields a featured snippet from PPCHero, but that url is not the highest ranking PPCHero url in the SERP! 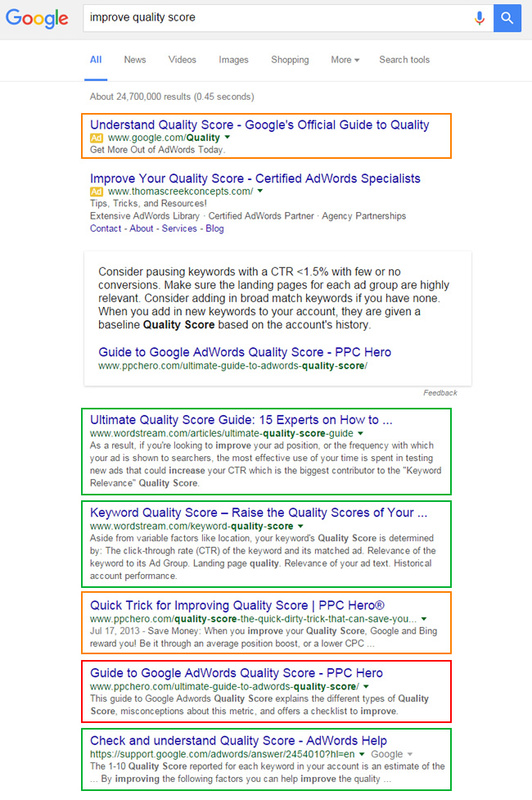 Their “quick trick” post actually ranks one spot higher than the “guide to Google quality score” post. 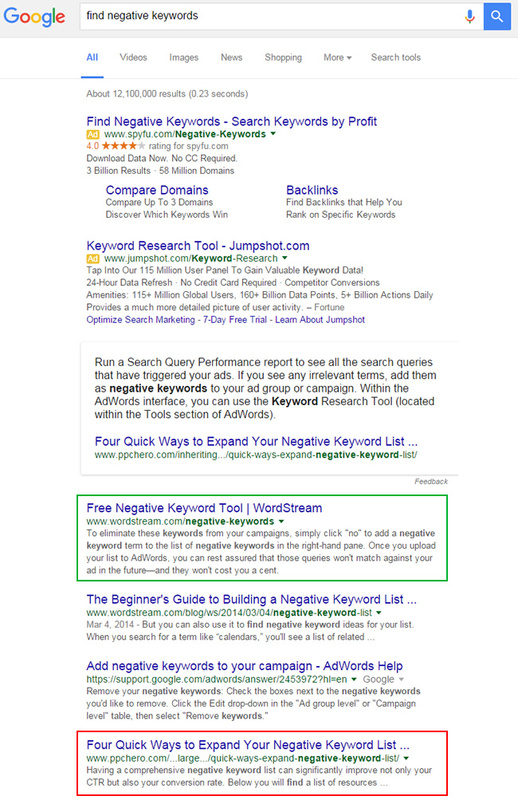 The query, “find negative keywords” turns out to be a battleground for paid search blogs, tools, and more. PPCHero receives the featured snippet, but Wordstream once again ranks #1. PPCHero actually ranks #4, below two Wordstream posts and a support document from Google itself. It’s yet another example of a url ranking #1 that doesn’t receive the featured snippet. 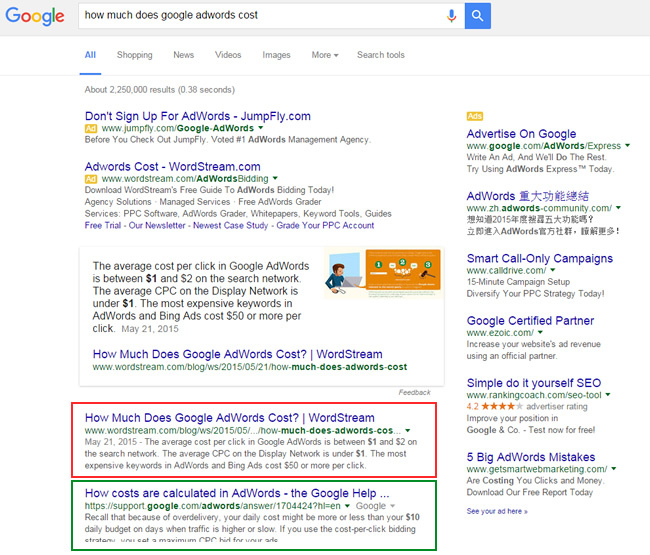 Also, the AdWords ads diminish the power of the featured snippet visually, which I’ve mentioned several times before. As you can guess, it’s very easy to go overboard when checking for featured snippets via SEMrush. One domain leads to another, and another, and another. So I decided to see how Google’s own blogs perform with regard to featured snippets. The answer: Not very well. I checked both the Webmaster Central blog and the Inside AdWords blog, and both do not yield any featured snippets according to SEMrush data! I’ve tweeted before about featured snippets showing from YouTube and how powerful some of those could be. 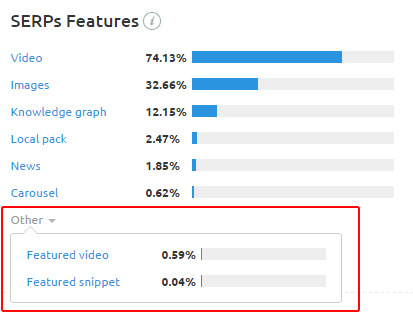 So I was very interested in seeing how many featured snippets SEMrush picked up for the video goliath. It ends up that SEMrush reported 136K queries that yielded featured snippets from YouTube.com. That’s a healthy number for sure, but what I saw next blew me away. Although much of the focus in the SEO industry has been on featured snippets, most people have not focused on featured videos. And featured videos from YouTube take SERP real estate to the next level. I was blown away to see that SEMrush reported 22 million queries that yielded featured videos. Yes, 22 million. Wow. Think about the massive amounts of traffic both the featured snippets and featured videos drive to YouTube on a regular basis. Sure, many of those videos are music-related or video clip-related, but there are other queries mixed in as well. That’s powerful, to say the least. There you have it. Findings from my search for featured snippets from across the top blogs and sites in the SEO and SEM industry. If you are interested in landing featured snippets for your site, I recommend reading through this post again, while also checking out my other posts about featured snippets. Here are some closing bullets that distill some of the core findings from this post. You don’t need to rank #1 to receive a featured snippet. Actually, I saw urls ranking as low as #10 still receive a featured snippet. Crazy, but true. Ad can diminish the impact of a featured snippet. That’s especially the case when three ads rank above the featured snippet in the SERP. Featured snippets are showing for topics, as well as questions. They are not just for queries structured as questions. To add to the previous bullet, sometimes minor variations in the query yield different featured snippets (from different urls and/or sites). You can definitely receive a featured snippet for official services, platforms, or products without having the official site. I noticed that many times during my research. Google can surface different featured snippets based on your search history. I sometimes noticed different featured snippets when I was logged in versus using incognito mode. 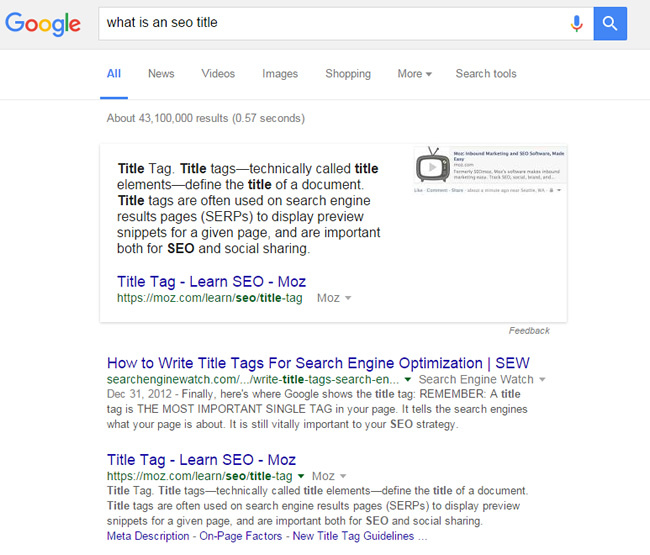 Thumbnails can greatly enhance a featured snippet. Google algorithmically selects a thumbnail and it can really attract attention to the featured snippet (even more than usual). And I saw some thumbnails that used a person’s photo, essentially tying that person to the topic at hand. Powerful. I plan to dig further into featured snippets as time goes on, and as the SERPs continue to change. Needless to say, featured snippets can take up huge SERP real estate, can build credibility, and can drive massive amounts of traffic. The tricky part is that Google algorithmically selects each featured snippet based on a number of factors. But that doesn’t mean you shouldn’t try and get them. And don’t forget about featured videos. They can be even more powerful than their featured snippet counterpart. It can be extremely frustrating when experiencing a slow decline in rankings and organic search traffic. Could it be an algorithm update, technical SEO problems, or something else? The fact of the matter is that it could be a number of serious problems causing the drop. And unless you can isolate the problem, it’s hard to rectify. And when there’s confusion, it’s easy to implement changes that can either have no impact at all, or that make the situation worse. It’s not good, to say the least. After my last Search Engine Land column about robots.txt problems and a slow decline in organic search traffic, I had a company reach out to me about a similar decline. They just couldn’t understand what was going on. Also, they explained that they were not SEO-savvy, they had made some site changes over the past twelve months, and simply had no idea why they dropped in rankings. As you can guess by the bolding above, I heard “site changes” and decided to do a quick health check of their top landing pages from organic search. Similar to the case study I wrote on Search Engine Land, it’s important to ensure the top landing pages from organic search still resolve properly, aren’t experiencing technical problems, content-related problems, etc. One of the first things I do when helping a new client is perform a search history analysis. 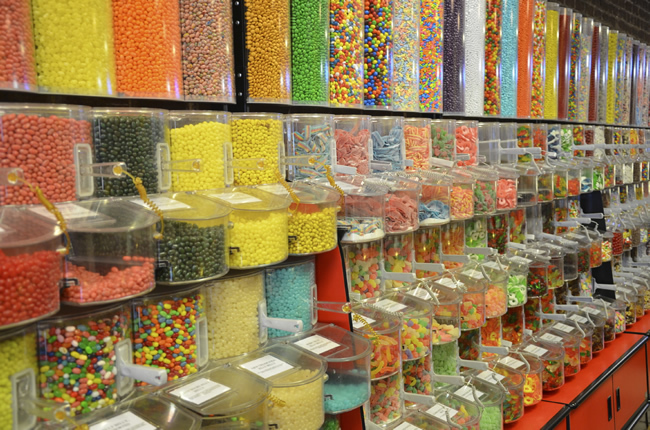 I wrote an entire post about it on Search Engine Land and I highly recommend you check it out. In a nutshell, I match Google organic search trending with both confirmed and unconfirmed algorithm updates. It helps all involved better understand the impact over time, and which algorithms could be causing problems. 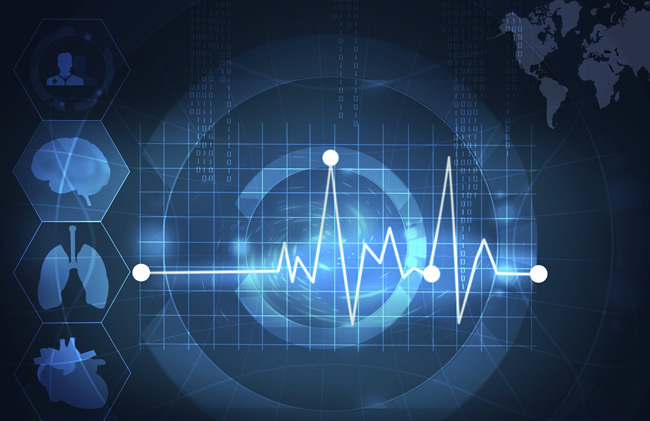 It’s a relatively quick deliverable, but sets the stage for a deep audit and analysis. I was specifically looking to see if the drop in traffic lined up with any algorithm updates from 2015. It ends up the search history analysis did not reveal any crazy hits during the various algorithm updates I have tracked. So the decline wasn’t from Panda, Phantom 2, the mobile-friendly update, or any of the quality updates that rolled out in 2015. That finding, along with the “site changes” quote from earlier led me to think there could be some technical SEO problems on the site. My next step was to perform a quick health check, as noted earlier in the post. So I quickly jumped into Google Search Console, Google Analytics, and Bing Webmaster Tools to check out the top landing pages from organic search (from before the drop started). Upon checking a few dozen manually, I noticed some strange things. Some resolved fine, while others had various issues. There were some 404s, 500s, some title and content issues, a few weird redirects, and other misc. problems. And that’s just checking thirty to forty urls. It was time for a crawl. There were about 12K deduped urls based on pulling landing page data from GSC, GA, and BWT. I scheduled two crawls of the urls and went back to manually checking urls. I had a feeling the crawl would yield some answers by checking all the urls in bulk. Once the crawl completed, it was clear why the site was experiencing a drop in organic search traffic. 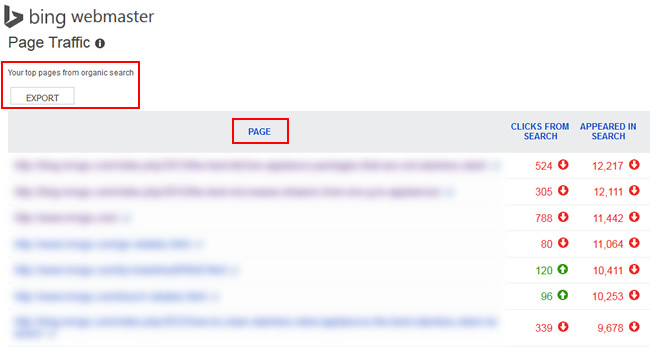 Many of the pages that were once ranking were not resolving properly. Just like I found during the spot checks I performed earlier, the same problems were showing up in bulk now. For example, I surfaced 404s, 500s, pages literally without content, weird redirects to unrelated pages, etc. And when pages don’t resolve properly, they have little shot of maintaining strong rankings over time. That led to the decline that the company was experiencing. I sent my findings through and my client is working with their technical team to better understand how this happened. Some of the problems look like they were human error, while other problems were related to their CMS. The combination led to many pages not resolving properly. And that led to a drop in rankings and organic search traffic. It’s a great example of how a search history analysis, a health check, and a quick crawl of top landing pages could yield important findings SEO-wise. I don’t know if the company can recover all of the lost rankings and traffic at this point, but uncovering the core problem is a great start. They now have a smoking gun (which you don’t always have SEO-wise). Let’s face it, it’s important to know what’s riddling the site in order to rectify those problems. And only then can you begin to recover rankings and traffic. Some of you might be reading this post and finding the story about a decline in traffic over time extremely familiar. If that’s the case, then I highly recommend following the approach I took with this case and running a quick health check of top landing pages. Those urls may be fine on your site, but they might not be. It’s always smart to run a scan like this from time to time (especially when you see a drop in traffic). I recommend starting with a search history analysis, identify any drops based on algorithm updates, and document your findings. After which, you should gather and crawl your top landing pages from organic search (including before the drop started). I have provided a bulleted list below of the steps involved. Head over to Google Analytics and export all landing pages from organic search. I wouldn’t keep this isolated to Google organic, but you can if you want. If you want all landing pages from organic search (without sampling), then access the Channels report, then Organic Search, and then dimension by landing page. Note, you can only export the top one 1,000 urls for the site at hand via the UI. But that’s not entirely accurate. 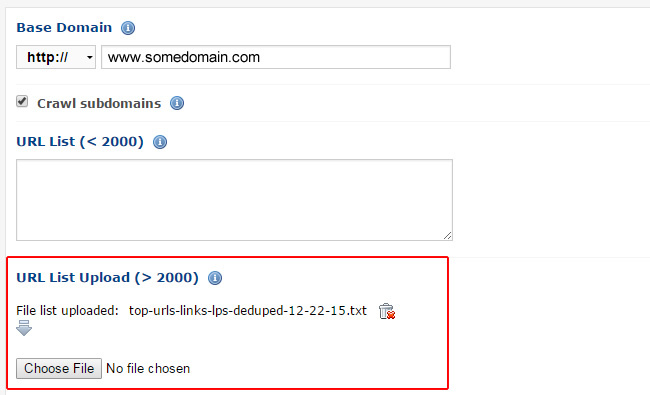 If you use filtering with the Pages grouping report, you can isolate specific urls or directories on your site. When you export that filtered report, it will provide that filtered data. So, you can get much more than just 1,000 urls, but it involves some manual work. 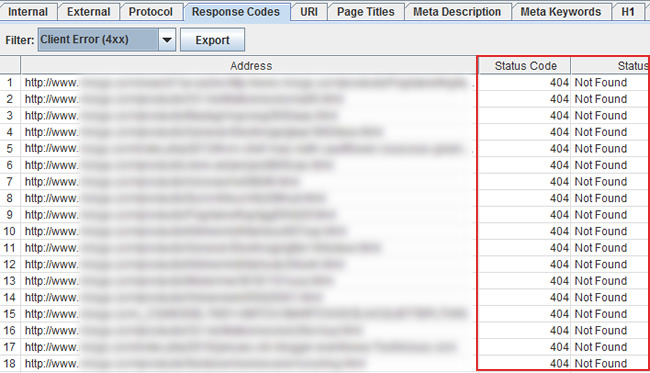 Once the crawl completes, you should dig into the data to understand how those urls are resolving. There are many things you can find, so I can’t cover them all here. That said, below is a list of some important things you can surface. You might be surprised by what you are seeing (which can be good and bad). Remember, we live in a mobile world. 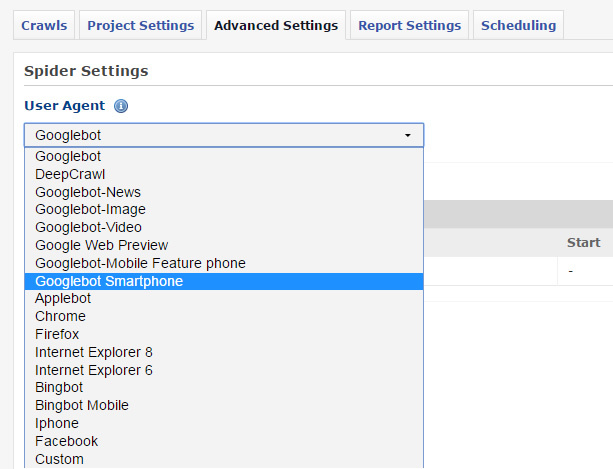 And Google has a crawler focused on smartphones called Googlebot for Smartphones. So I highly recommend running a second crawl that uses Googlebot for Smartphones as the user agent. 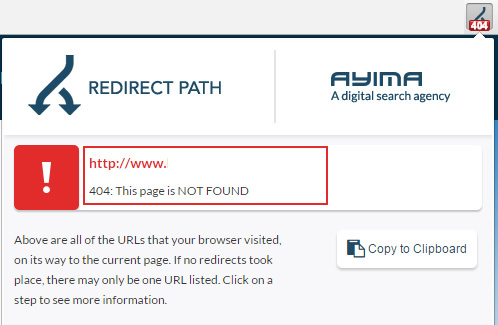 You might find that your site is handling mobile visitors differently than you thought… For example, you could find faulty redirects, 500s, content problems, etc. It’s smart to run a health check periodically to ensure your top landing pages from organic search are resolving ok. And I would not wait until you see a decline in traffic to go through the process listed above. I would try to check your urls monthly or bi-monthly at least. By doing so, you can pick up potential problems before they cause a drop in rankings and traffic. The good news is that you can start today. Go ahead and gather your intel and run a health check. You never know what you are going to find. Crawl away.